The latest versions of iTunes have a universally visible sidebar with media library, devices, and playlists available to choose from. Some of the library sorting options visible in the sidebar may not be useful to all users however, so with a little effort you can edit and customize the sidebar in the newest iTunes releases. You can also choose to hide the sidebar in the latest versions of iTunes, or show it again if you accidentally made the sidebar invisible. Your newly edited and customized sidebar is immediately visible. 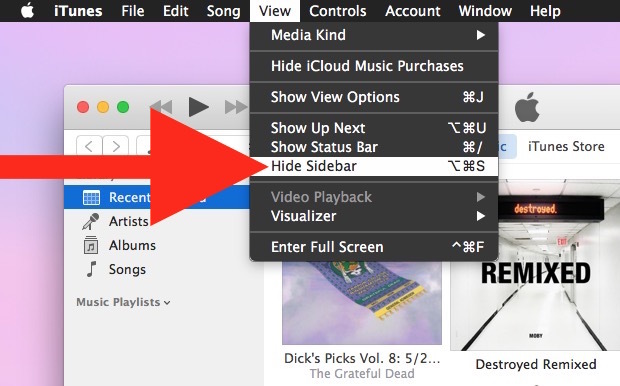 You’ll notice the sidebar customizations are centered around management and viewing of your iTunes library, with the ability hide and show things like genres, albums, recently added, artists, songs, composers, compilations, and music videos. You can’t adjust the iOS devices list, however, which isn’t where you select an iPhone or iPad in new iTunes versions anyway, as that is instead done through a dropdown menu elsewhere in the app. It’s possible that future versions of iTunes will offer even more options and sidebar adjustments though, so don’t be surprised if some added sidebar options are available down the road. Once you’ve made changes to the sidebar you’ll find them always visible as long as you’re in the media and playlist views based on your music, though the sidebar hides itself when the iTunes Store and Apple Music section is active. That’s a change from the prior interim versions, as new iTunes don’t require the user to show sidebar through the playlists section exclusively, it’s just visible all the time in any music view (unless you hide it yourself, anyway). If you don’t want to see the sidebar at all, or if you accidentally hid it, you can toggle the visibility easily. 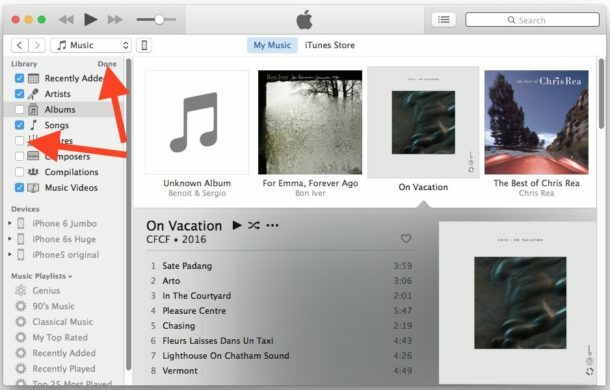 The sidebar will immediately hide or show in iTunes, depending on what option you chose. 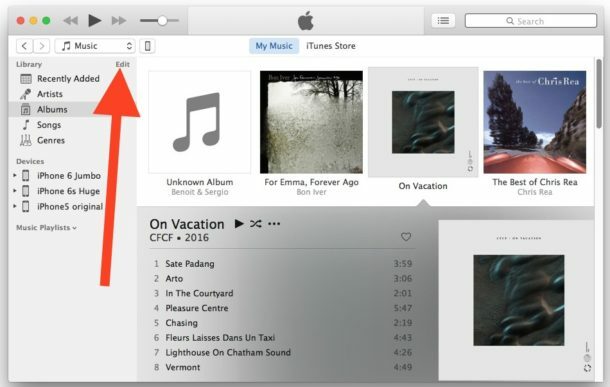 This ability to toggle the visibility of the sidebar existed in prior versions of the app, were briefly removed in interim version 12 releases, and made a return in the latest iTunes releases perhaps due to popular appeal. I’d love to see the old (iTunes 10) sidebar back, where you could select media kind. Ooh, that is handy. My iTunes sidebar is much cleaner, now. Thanks for the tip! Am told to reinstall iTunes after this update. Windows 10, HP laptop. Is my library and past iPad backups safe? Am told iPhone/iPad access needs to be in same folder as iTunes app. What’s the best way to do this? This is good information, thanks. I’d love to know how to get to my local NPR station with one click instead of having to scroll though the thousands of options under ‘radio’ every time. Sadly we no longer have the list view for music and movies etc. this is a bad omission as it was the easiest view when making a selection. Yegads Itunes is an unholy s**tshower, isn’t it?